Hartnell College continues to innovate and engage, opening up the minds of the youth in Salinas to imagine and create with the help of the latest technology. This is a possibility thanks to the MakerSpace or Maker movement. This spring 2018, Hartnell College was awarded 2-years of funding for this project by the Community Colleges Chancellor’s Office totaling $500,000. This special grant is being used for implementation, equipment, staffing, supplies and stipends for faculty and others that are involved in creating workshops and classes for college students, K-12 students and the community at large. Hartnell’s Maker is an inter disciplinary project that involves faculty from a diverse number of areas of study, such as engineering, construction, physics, arts, theatre, welding, math, computer science, and more. On April 24, 2018, Hartnell College had the ribbon cutting for its MakerSpace at the East Alisal Campus, referred to as the Idea Lab. 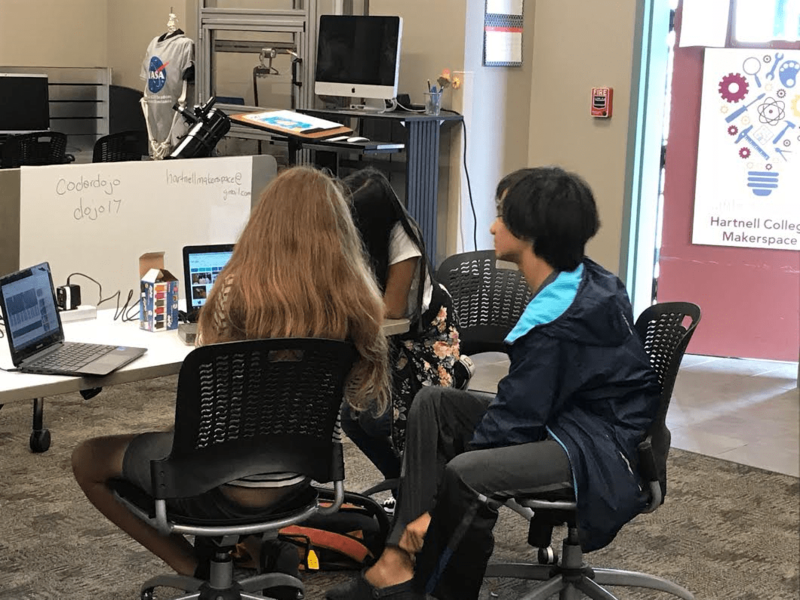 state of the art lab linked to the NASA MUREP Aerospace Academy; students have access to equipment such as a drop tower for gravity experimentation, a wind tunnel, a real time flight simulator, 3D printers, 3D pens, Raspberry Pi’s, Lego Robotics, and much more. 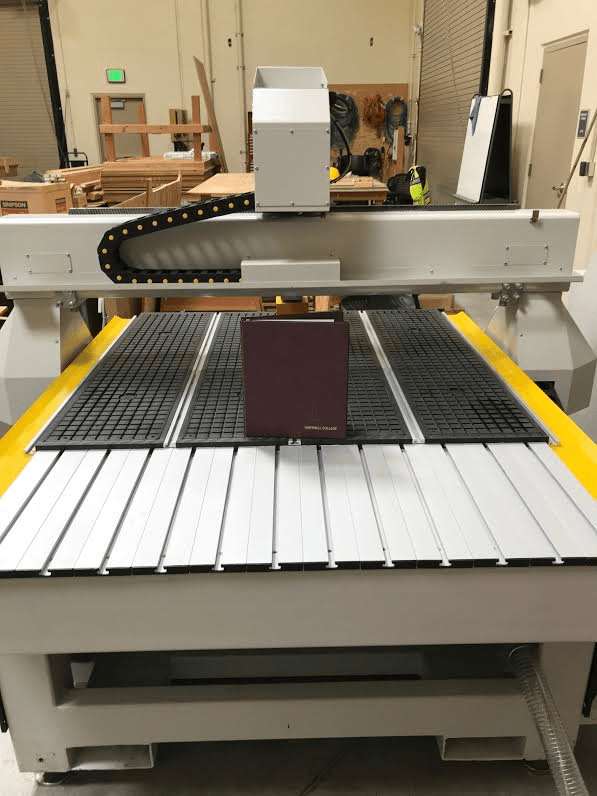 The dirty lab is where things get messy; students will have access to higher resolution 3D printers, laser cutter, vinyl cutters, CNC machine, tool boxes, wood, metal, and also computers. It will also be home to sewing machines and knitting supplies – there will be a little bit of everything for all types of students. This project allows Hartnell College to collaborate with the 23 community colleges that received funding for a MakerSpace — it is an opportunity to exchange ideas, learn from mistakes, and build the capacity both ways. “We want our students to know we are here to help and to offer support when they need it, we also want to show younger students through our K-12 STEM Programs that anything is possible at Hartnell College,” added Melone-Echiburu. Students at college level have the opportunity to participate in a paid internship at the college or to be connected to local industry or business with the idea to create an incubator that will guide students through a pipeline that can lead them to local jobs. Claudia Contreras is the Maker Space Manager who brings a wealth of knowledge not only in the technical field of making but also in her expertise in computer science, curriculum development, program planning, and implementation; her experience in the K-12 STEM Programs has prepared her to carry out this project with passion and enthusiasm. “MakerSpace for me is a place to come and play, explore, dream, fix mistakes, solve problems and interact with other students, not only from their same area of study but from different programs within the college, it is a place where collaboration has no limits,” expressed Contreras. The team is looking forward to finalizing the dirty lab with the delivery and installation of the final equipment and new pieces of furniture to then have it be fully operational. The clean lab has been open for two months now and Hartnell staff has been holding different workshops and classes, from art to web design. A good number of high schools and local organizations have visited the labs and look to the future to get their hands dirty. Esmeralda Montenegro Owen is Director of Communications, Marketing, and Public Relations at Hartnell College. She can be reached at emontenegro@hartnell.edu.